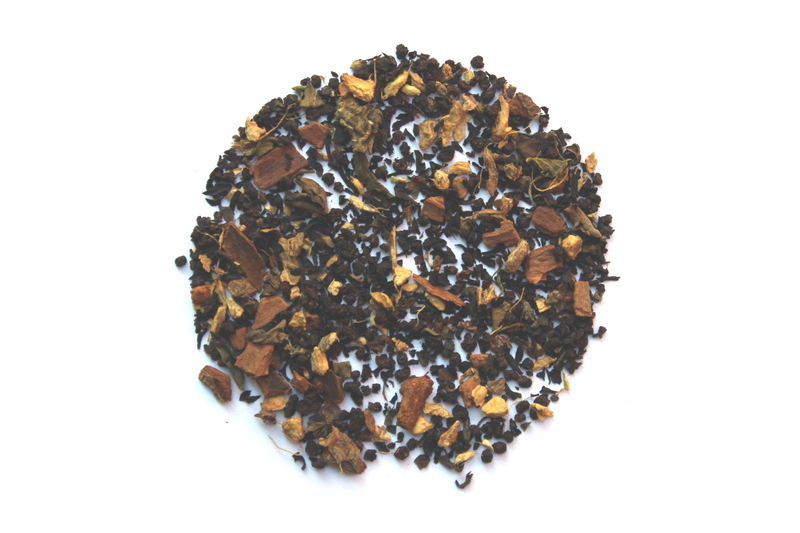 With a base of black tea, this chai has notes of mint, licorice, and clove owing to the Holy Basil, or Tulsi leaf. Combined with the ginger and cinnamon, this tea will be bold and spicy. Chai is hit or miss for me. Some are too strong/too spiced, some are just weird. But this one, Tulsi Chai, is great! It's not too strong, but still is full of the unique chai spice flavors. This is my favourite tea so far! Holy basil is an amazing herb that can help with anxiety and stress, which makes this tea a must have. I hope I get more! I'm a huge fan of Chai tea. The savory-sweet flavor just hits me right in the comfort centers of my body. The only problem I've ever had with them was that I always need to add creamer of some sort to turn it into a sort of latte concoction. That's not a huge problem, I just always wondered if there was a Chai out there I wouldn't have to doctor to make perfect. I was starting to not think so, but then I tried Tulsi Chai. One sip and I realized I didn't NEED to add anything to it to make it perfect. It just was. Not that it wouldn't be just as amazing with creamer added, but it doesn't request it in blaring neon letters. I'm not sure what the Tulsi does that makes this so, but neither do I care. I just know that the basil adds that extra, subtle note of deliciousness that just makes this tea complete. I highly recommend this blend.